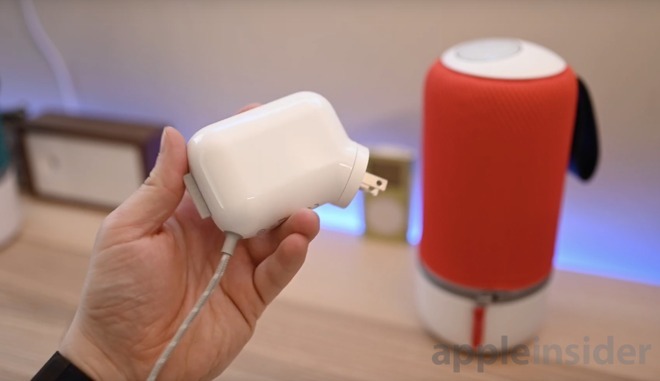 The Zipp Mini from Libratone is a wireless speaker that works —and sounds —great in the home, as well as on the go using Bluetooth, Wi-Fi, or AirPlay 2. 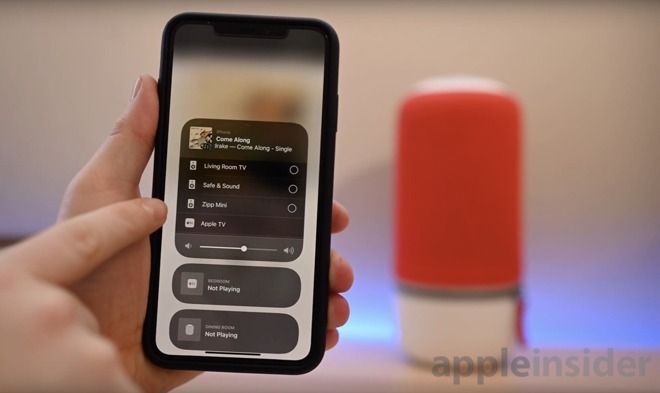 When we look at the AirPlay 2 market, we've seen support added from countless companies. The common thread, however, is an unwavering requirement to always be plugged into power. This constant tether is less of an issue while around the home but ruins any possibility of taking the speaker with you anywhere. The Zipp line has always bucked this trend. We were fans of the larger Libratone Zipp, but it was too large to really be our go-to wireless speaker. As you may expect, given the name, the Zipp has a cousin in the Zipp Mini, but in a more compact form factor and a bit less sound output while retaining everything else we love. To start, the Zipp Mini is a smaller wireless speaker, coming in at just above 10-inches in height. That isn't the smallest speaker we've seen, there are definitely more portable options out there. This is, however, a good size-to-feature balance and worth the tradeoff. 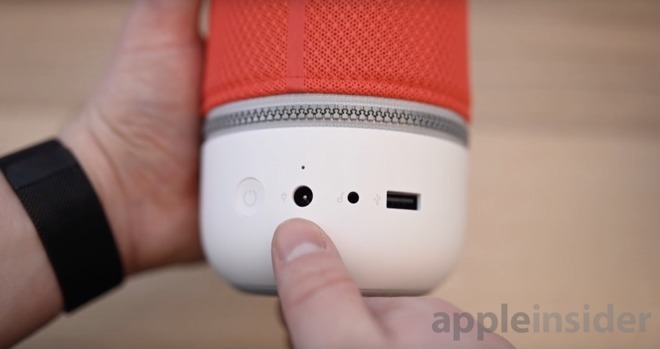 It is a shaped a bit like a capsule, similar to a vertical Beats Pill. The top portion is covered in a fabric grille that comes in a variety of striking colors. If you ever get tired of a color, the fabric can be unzipped and swapped out for any number of alternatives available through Libratone. More likely, it can be replaced if it gets ripped or stained during one of your adventures. Coming out of the side is a grabbable strap to make toting it around easy. On the bottom, we have a power button, the power input, an aux audio port, and a USB-A port. This USB-A port allows the Zipp Mini to be used as a battery pack for your devices while out and about. Looking towards the top, there is a small illuminated touch-sensitive surface. Running a finger around the edge will adjust the volume up and down. Otherwise different elements can be tapped to control things like playback or accessing favorites. Libratone included a custom designed power cable in the box, which is very well designed. It has a swappable plug to make it easy to change depending on the region sold. The cable is nylon-braided which makes it more durable. A cable clip on the side also helps wrangle unruly cables either while sitting on a shelf, or thrown in a bag. Normally, I'd push for USB-C on a speaker, but Libratone did such a nice job on the charger I can't complain much. To listen to audio, there are quite a few options, moreso than most any other wireless speaker out there. There is, of course, an aux input on the back for a wired solution, but the myriad wireless options are the best part. 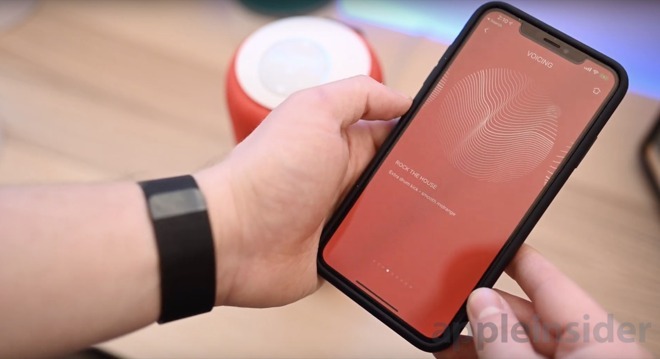 This is a Wi-Fi connected speaker which is configured during the simple setup process through the Libratone app. That means it is capable of streaming content by itself, without necessarily requiring a host device. Sources like Spotify and internet radio stations can be set to five favorites and accessed from the speaker, never needing your phone. 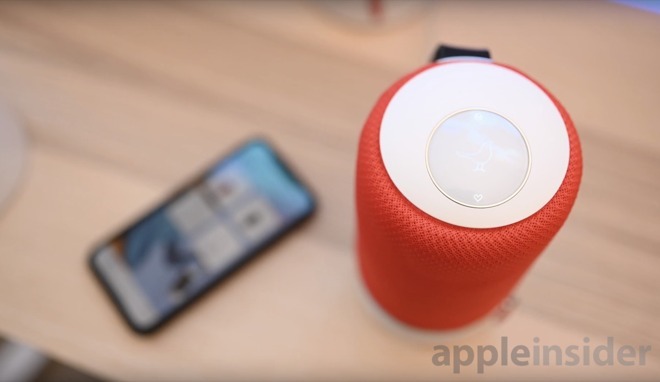 Libratone also upgraded the AirPlay capabilities to AirPlay 2, which has many benefits over AirPlay such as an improved buffer and multi-room support. 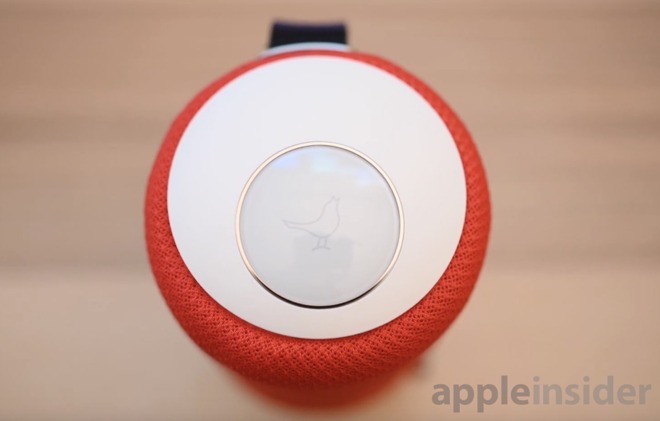 While we played music, we never had issues of the audio dropping over AirPlay and easily played back music to our Apple TV, Sonos Beam, Libratone Zipp, and the Zipp Mini simultaneously. The Zipp Mini also supports Bluetooth for when Wi-Fi isn't available. If you're using an Android device that supports AptX, Libratone will use that as well which provides better quality audio through Bluetooth. Speaking of the Libratone app, there is a lot of functionality baked in here beyond just the setup process. Software updates, which are fairly regular with new features or stability refinements, are performed through the app. Changing the volume, name, and other settings can also be tweaked. Any other Libratone products you have will also show up here, such as their Track+ headphones, or any other Zipp speakers. Within the app, you can adjust the EQ yourself, or you can keep it simple and choose from several presets that are already tuned for specific genres such as live music, rock, movie time, or spoken word, taking out guesswork. If you have multiple Zipp speakers, you can combine them in the app into a "soundspace." But, Apple users may find this less useful given AirPlay 2. The Zipp Mini carries quite the price tag, so it has to have the audio quality to back it up. For us, the Zipp Mini delivered. We played hours of music using our Apple Music testing playlist. It had quite a bit of base, especially when upped in the EQ, but not overpowering. HomePod we found to have a bit much bass that could be a little sloppy and wasn't great for things like movies or spoken word. The Zipp Mini did better in both of these categories, while still sounding great for a wide array of musical tastes. If you really prefer bass though, HomePod is still the way to go. The Zipp Mini is summed up best as full-bodied sound that is well rounded. It is crisp and able to handle fast, poppy tracks without too much issue. Where Mini is lacking, is with the size of the sound stage put out. It has omnidirectional sound, but still feels a bit bottled. Listening to Bohemian Rhapsody, instead of a large sound stage, it felt a tad narrow, though all the layers were easily identifiable. We think most people will be happy with the sound of the Zipp Mini, but for a larger soundstage, crisper highs, and more bass, the larger one is the better option. The Zipp Mini runs around $250, which is a sizable price tag for a wireless speaker. That puts it in range of a used/refurbished HomePod. Zipp Mini though is a far more well-rounded speaker. HomePod isn't portable, nor does it support anything other than AirPlay. HomePod includes Siri but Zipp Mini works with Amazon Alexa which is many people's assistant of choice. The Mini also supports Bluetooth, can act as a battery pack for your gear and has an adjustable EQ. For us, this makes the Zipp Mini the preferred option, especially if you are looking for a great sounding speaker that works anywhere in your home, or on the go. The question then becomes, go for the smaller size of the Zipp Mini, or the full size of the Zipp for a very similar price. 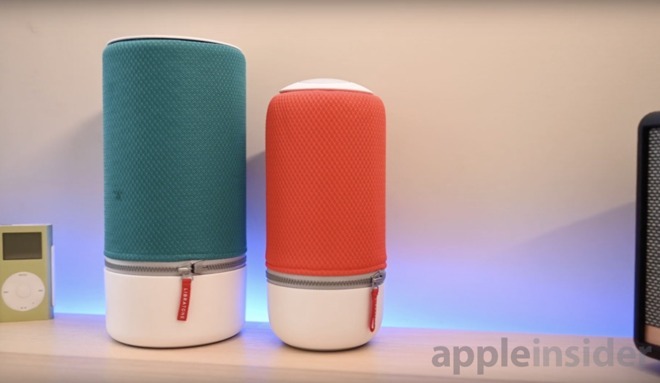 The Libratone Zipp and Zipp Mini are both available through Apple Stores, as well as through Amazon in a variety of colors, for $249.